When you book a United Kingdom cruise with Cruise 1st Australia you will be spoilt for choice of destinations, all with their own unique heritage and character. Whilst Southampton may not be the best known destination in the British Isles, you will soon been captivated by its traditional British seaside charm. Read on to find out more about Southampton, or click here to see the latest offers on United Kingdom cruises. Southampton is the largest city in the county of Hampshire on the south coast of England. Situated 75 miles south-west of London, Southampton is very distinct from England’s capital city. 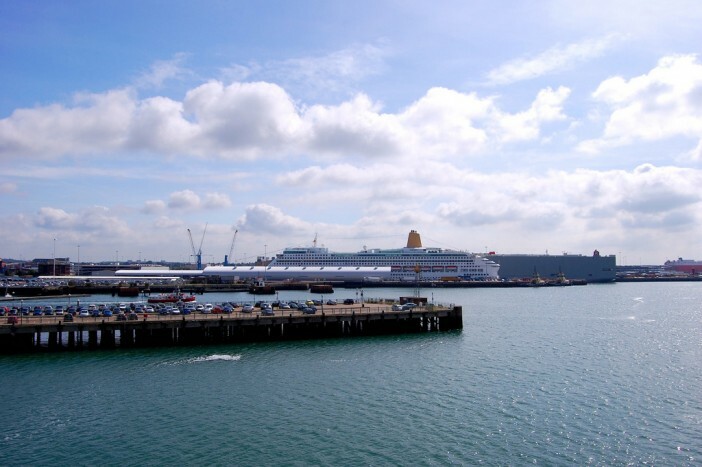 Southampton is the UK’s main cruise port with five main passenger terminals in operation. Hosting over four million visitors a year this city has plenty to see and do for all ages and interests – from museums, art galleries and music venues, to shopping and fine dining and award-winning parks and gardens, there is plenty to keep everyone entertained. There is plenty of history in Southampton, with archaeological finds indicating that it has been inhabited since the stone age. Today, you can walk the city’s medieval walls and the 800 year old Bargate, which once stood as a main gateway to the city, is still standing today. The city has an important maritime and aviation history. The Titanic set sail for her fateful maiden voyage from this city in 1912. Most of the crew lived in Southampton and over 500 households lost at least one family member in the tragedy. Today you can visit the Titanic Memorial in the city centre and learn more about this disaster in the SeaCity Museum. Be sure to visit the Tudor House and Garden – the city’s most important historical building which is over 900 years old. Set within the Old Town it has recently been sympathetically restored with fantastic new facilities and displays. Visitors can take in the fascinating history of the house, which has been home to the rich and famous as well as the poor. The beautiful garden is well maintained and a beautiful, tranquil space. Why not take a guided walking tour around the city’s Old Town to learn more about its fascinating history? You could also embark on a self-guided walking tour or take a leisurely boat trip down the River Solent. Southampton boasts many art galleries and art-based events such as theatre and live music. The Southampton City Art Gallery is a world-renowned gallery which is home to probably the best publicly owned collection in the UK outside London. If you prefer contemporary and visual art then the John Hansard Gallery located at the University of Southampton is a great place to spend a few hours. With all this history and culture, as well as a multitude of restaurants and cafes, you are sure to remember your visit to Southampton for a lifetime. Visit our UK cruise deals page to book your cruise, as our offers are regularly updated. Meanwhile, here is just one example of our recent offers. You will set sail from Rosyth (Edinburgh) then sail to Southampton, St. Peter Port, Cork, Dublin, Belfast, Greenock (Glasgow), Orkney Islands, Inverness, – Rosyth (Edinburgh) and Le Havre (Paris) before finishing in Southampton.